world by the millions of hearts she has touched with her soulful voice, inspiring charisma and gentle, fun-loving nature. More than that, she is also the mother of three children and the grandmother of nine grandchildren – a wise woman who has experienced hardship as well as joy throughout her long career. 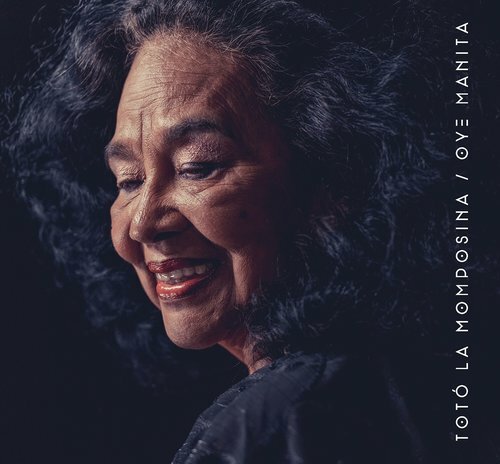 We’re delighted to make an unreleased track from Totó la Momposina’s 2015 album Tambolero available to stream/download from today: smarturl.it/TotoJulioMoreno. ‘Julio Moreno’ was recorded live at Real World Studios in 1991 as part of the sessions for the La Candela Viva album, produced by the legendary Phil Ramone. 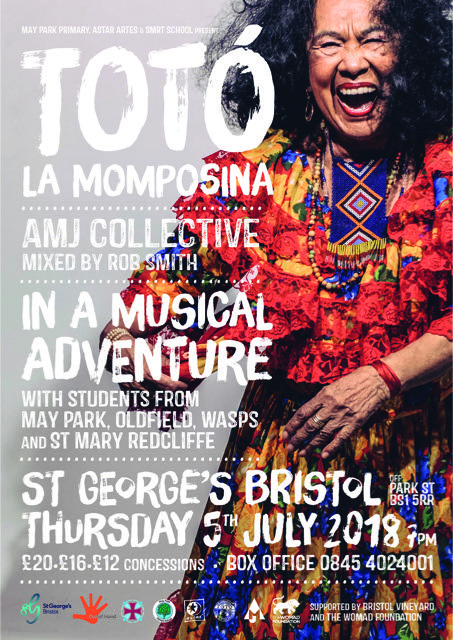 Totó la Momposina makes a rare London appearance with a new show inspired by her last album Tambolero. Now in her 70s, Totó has become a legend worldwide for her work with traditional music from the Caribbean coast of Colombia. 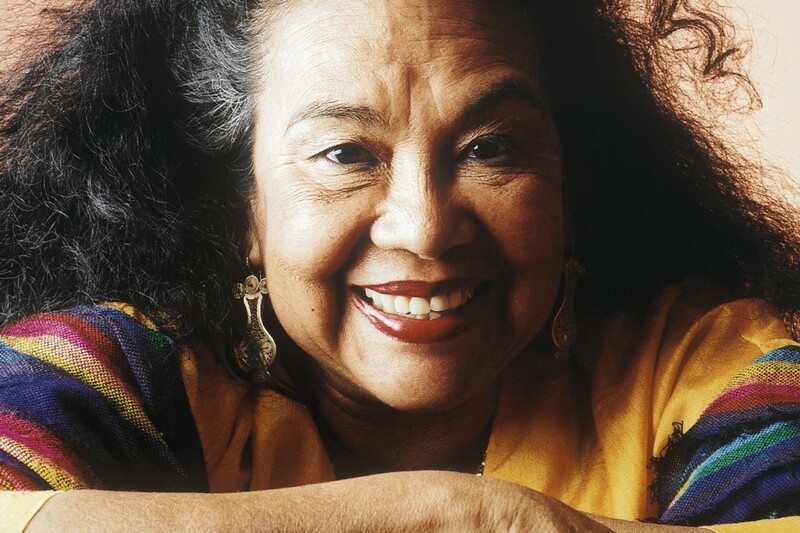 Investigating and preserving the music of her homeland when it was unfashionable to do so, she has inspired several generations whilst constantly developing her own musical traditions. 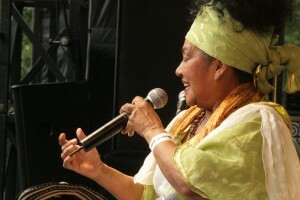 Totó has collaborated with many artists, from Celina Gonzalez and Remmy Ongala to Calle 13 and Lila Downs. Her music has been sampled and remixed by countless DJs and producers from Timbaland to Michel Cleis – indeed the trance-like grooves of her Tambores and the majesty of her voice continue to be irresistible. 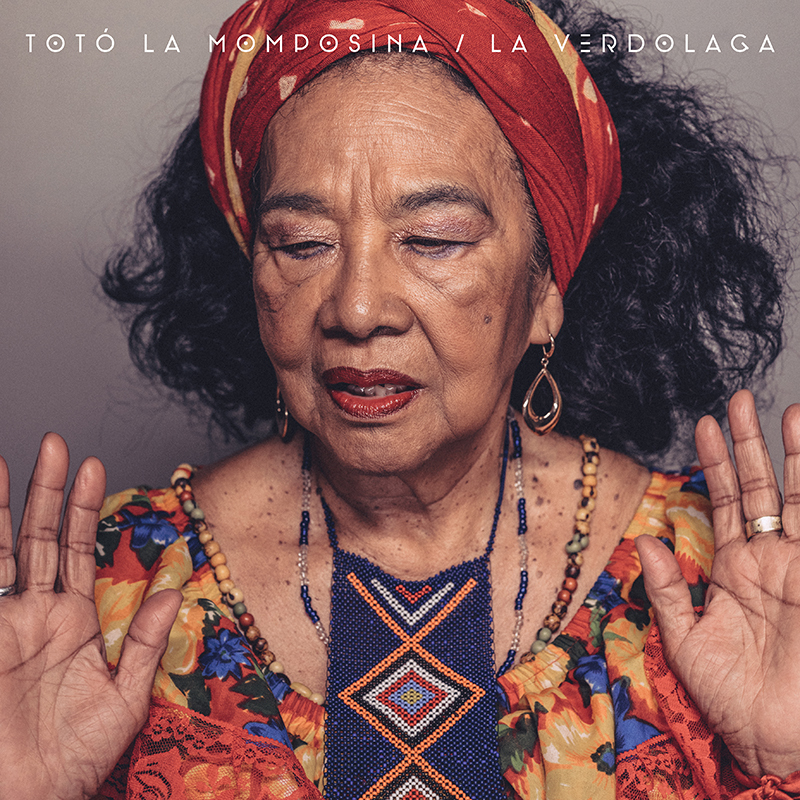 Totó’s story is also that of modern Colombia – from displaced economic migration to the horrors of civil war, from the joy of music and dance to the celebration of peace and a cultural identity. Her new show features members of her family, tambores (drums), flutes and voices and also features projections showing the history of the music and dance in performance. 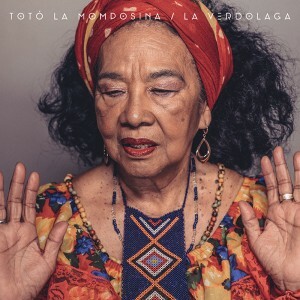 Totó la Momposina will be touring Europe May/June 2017. Beautifully packaged 28-page hard back CD book with extended sleeve notes and rare archive photos. You don’t normally get the chance to go back in time and recreate an album. Building on a classic project that began 24 years ago is a challenge and a delight. In 2009, the Swiss producer Michel Cleis released a house tune called La Mezcla, which featured two samples from Toto La Momposina’s album La Candela Viva. The track took off and his label, Cadenza, requested access to the multi-tracks so they could produce extra mixes. It was agreed and John Hollis (producer and now son-in-law of Toto) came to Real World Studios to seek out El Pescador and Curura, which meant locating the original 2 inch tapes from 1991 and 1992.